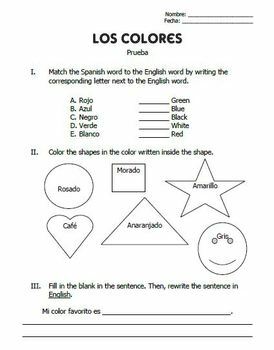 A quiz for beginners to the Spanish language. Includes basic color names as well as "mi color favorito". Included are both the Microsoft Word and PDF files. Fully editable!